Sunday Sessions at Terindah Estate are continuing throughout February and March with live music on the lawn! Relax on the lawn or nestle into comfortable lounges on The Deck to soak up the summer sun. Sit back with a glass of estate-made wine and shared plates while enjoying live music performed by some of Geelong’s favourite local artists. Entry is free with entertainment rolling from 12pm until 4pm. February will see Salted Fish, Kieran.T, Andy Forster Music and Blue Wax, while March sees Abe Anderson, Kieran.T, Blue Wax, Salted Fish and Lucas Phelps Music. Every Sunday (until February 24), Terindah Estate hosts a calming yet rejuvenating Sunday Hatha Flow Yoga session. 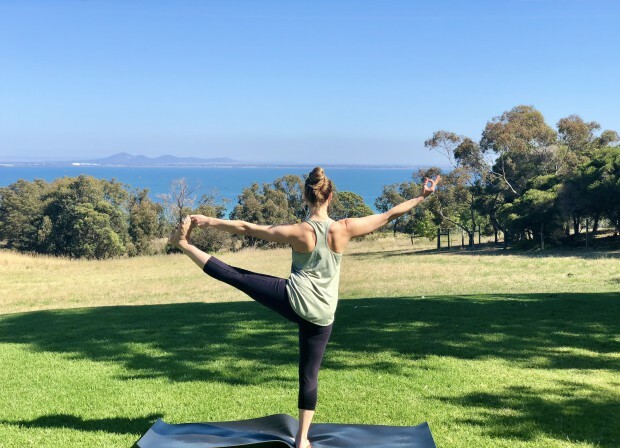 The hour-long Hatha yoga class on the lawn, followed by brunch and bubbles in the winery restaurant boasts sweeping views of the open vines and water across Port Phillip Bay. It kicks off at 8:30am with a 60 minute class followed by a delicious brunch. This one is $55 per person. BYO yoga mat. In perfect timing with this awesome weather, guests can now stay overnight on Terindah’s picturesque property in one of 15 luxury bell tents, with views overlooking Port Phillip Bay. Daily picnic hampers will be available to pre-order for lunch or dinner on the day as well as a French breakfast basket. The Deck, the estate’s French-inspired wine bar and Cellar Door are also open all week as usual for guests to indulge and The Shed is open Thursday to Monday for lunch, Saturdays for dinner and for breakfast on the weekends. Did someone say date night?